In 1955, Sears printed an advert with a miss-printed phone number so children could call them to find out where Santa was. The number they actually printed on the advert was actually for the Colorado Springs’ Continental Air Defense Command and not the local Sears office. The commanding officer that Christmas was Colonel Harry Shoup. 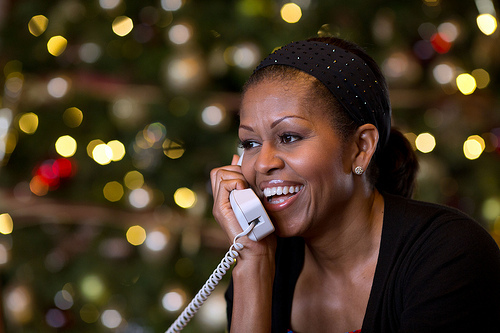 In an inspired piece of thinking, he told his staff to give Santa’s current location to any children who called that day. With that a holiday tradition was born. One that is going today almost 60 years later. Also, to put any American tax payers worrying about how much of their taxes are spent on this “frivolous” activity the whole cost of manning the phones, answering emails and the infrastructure behind it is all paid for by sponsorship and volunteers. You don’t need to look any further to see where Santa is. Below is a live feed from NORAD and their tracking of the great man. To the hundreds of nameless volunteers who help every year. 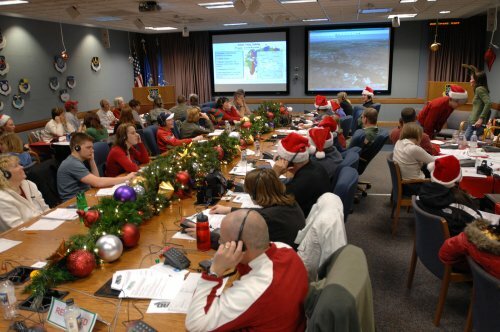 More information about this great tradition can be found at the Official NORAD Santa Tracker.